Welcome to New Zealand / Aotearoa - land of the long white cloud. Haere mai, haere mai! You could come to New Zealand for a hundred holidays and have a totally different experience each time. 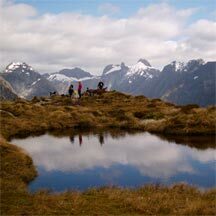 From Fiordland to Spirit’s Bay, the country presents a huge variety of landscapes. Auckland Newmarket Motel is a great place to rest during your stay in Auckland, while exploring New Zealand. Because of its history and position as the largest pacific island nation, New Zealand has a special relationship with some island countries of the South Pacific. We also have large numbers of expats in other countries, and, perhaps alas, import a lot of our media from abroad. While New Zealand is a relatively young country, it has a rich and fascinating history, reflecting both our Maori and European heritage. Amazing Maori historic sites and taonga (treasures), some dating back almost a thousand years, are a contrast to many beautiful colonial buildings. A walk around any New Zealand city today shows what a culturally diverse and fascinating country we have become. Auckland is one such city. Talk to us at our Auckland motor inn for the best historical areas on offer in Auckland, or click here to read more about Auckland’s heritage. An 1840 treaty between Maori and the British Crown is New Zealand’s founding document. Today, the Treaty of Waitangi has a major impact on all New Zealanders. Over a thousand years ago, Maori became the first people to migrate to New Zealand. Since then, people have come from around the world to settle here. Bravely voyaging across the Pacific from their ancestral homeland hundreds of years ago, Maori made New Zealand their home, becoming the tangata whenua — people of the land. Though a Dutchman was the first European to sight the land, it was the British who colonised New Zealand, leaving an indelible mark on the country and its people. Click here to read more about New Zealand and Auckland’s history. New Zealand is not called ‘down under’ without reason! New Zealand’s coldest month is July, and our warmest is in January; our seasons opposite to those in the Northern Hemisphere. Average temperatures are around 15C (60F) in the upper North Island, and around 10C (50F) near the bottom of the South Island. Each of our Newmarket motel rooms feature heaters for cooler evenings. The New Zealand climate is fairly mild, without the extremes experienced in many other countries. In fact, New Zealand doesn't tend to have temperatures over 35C (100F) or under -10C (14F). It tends to snow only in the mountains in the North Island, and mainly in the Southern Alps in the South Island; although it has been known to snow in some of the cities on the East Coast of the South Island, from time to time. 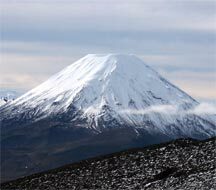 In winter the Central Plateau, located around six hours’ drive from our Auckland motel accommodation is the closest location for skiing and snowboarding. New Zealand has mild temperatures, high rainfall, and lots of sunshine. You can also enjoy hot summers, beautiful spring and autumn colours, and crisp winter snow. New Zealand has a stunning variety of landforms — from spectacular alpine glaciers and massive mountain ranges to rolling green farmland and long sandy beaches. 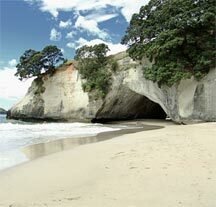 In Auckland you will find a great selection of beaches. Ask Peggy or Chris at reception for the best local beaches to visit during your stay at our corporate Auckland accommodation. 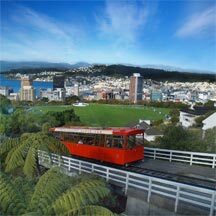 With vast open spaces filled with stunning rugged landscapes, gorgeous beaches, often spectacular geothermal and volcanic activity, a temperate climate and fascinating animal and plant life; it is no surprise that New Zealand’s pure natural environment is so attractive to visitors from other countries. And the great advantage of New Zealand is there are many different landscapes, environments, and ecosystems so close to each other! Whether you spend time in the wilderness areas of National Parks or lovingly manicured private gardens, you'll find an abundance of fascinating native plants found nowhere else on earth but New Zealand. Since before Sir Ernest Rutherford ‘split’ the atom early in the twentieth century, Kiwis have been discovering and inventing things. Many of these inventions have literally been created in a backyard. While frozen meat, the Hamilton Jet boat, and the bungy jump are probably our most famous Kiwi inventions, there are many others. New Zealanders are also responsible for the tranquilliser gun, seismic ‘base’ isolators (rubber and lead blocks which minimise earthquake damage), electric fences, the fastest motorbike in the world, freezer vacuum pumps, stamp vending machines, wide-toothed shearing combs, and the electronic petrol pump — to name a few! Our Epsom motel accommodation is Kiwi owned and operated!